The craft spirit movement is far younger than the craft beer movement, but that doesn’t mean that high quality, locally crafted spirits aren’t available. 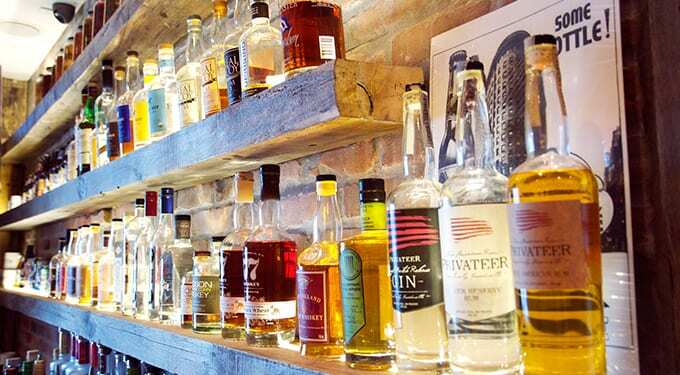 The local spirits offering at Rogue Island focuses primarily on New England rums, vodkas, and whiskies; with the premium local bourbons and whiskies being sourced from Western Massachusetts and New York state. New England distillers have secured the feedstock to make their products with local grains, which secures their commitment to the local food system — and we think that is very cool! Next time you are at Rogue, try one of our Prohibition-Era cocktails or ask a staff member for a local spirit that is comparable to your national brand of choice. Always adding new offerings as they become available to Rhode Island establishments.